Within "five to six weeks" the UK hopes to appoint financial advisers for negotiations on the potential sale of its one-third stake in uranium enrichment company Urenco. The Department of Energy and Climate Change (DECC) announced that an invitation has been launched to tender for financial advisers "to support discussions with the Netherlands and Germany regarding the potential sales of the UK's stake in Urenco." The sale of the UK's share in Urenco has been under consideration for several years as it is in line with an overall policy to end national ownership of nuclear businesses. 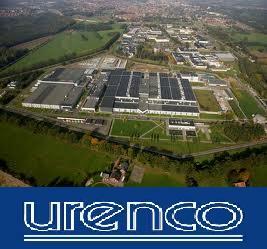 In October 2009 the government stated that it would continue to "explore options for realizing value from its stake in Urenco" as part of a ￡16 billion ($25 billion) sale of major public assets in order to reduce the national debt. At that time, then-prime minister Gordon Brown said the sale of Urenco would be "subject to security issues being addressed." Urenco's shares are ultimately held one-third by the UK government, one-third by the Dutch government and one-third by the German utilities RWE and EOn. Selecting a new owner for the major stake could prove complex. The company is regulated by the 1971 Treaty of Almelo to consolidate and commercialise centrifuge enrichment research by Germany, the Netherlands and the UK. Those governments still control it through shareholding executives while the scope of the treaty has been expanded by the Treaty of Washington, which allowed for expansion in the USA, and the Treaty of Cardiff, which made possible a technology agreement with Areva of France. With a share of almost 30% of the global uranium enrichment market, Urenco has an order book of more than EURO20 billion ($25 billion). It had pre-tax profits of EURO654 million ($963 million) in 2011 and the company's centrifuge uranium enrichment capacity stands at 14.6 million separative work units per year. DECC said that the government expects to appoint financial advisers in "five to six weeks." However, it noted, "No final decision has been made."